Enjoy KEF's new Q-Series with this carefully curated package by Audio Affair's team of hi-fi experts. This ready-made system will instantly define the sound and look of your room. Earn 2025 loyalty points when you order this item. 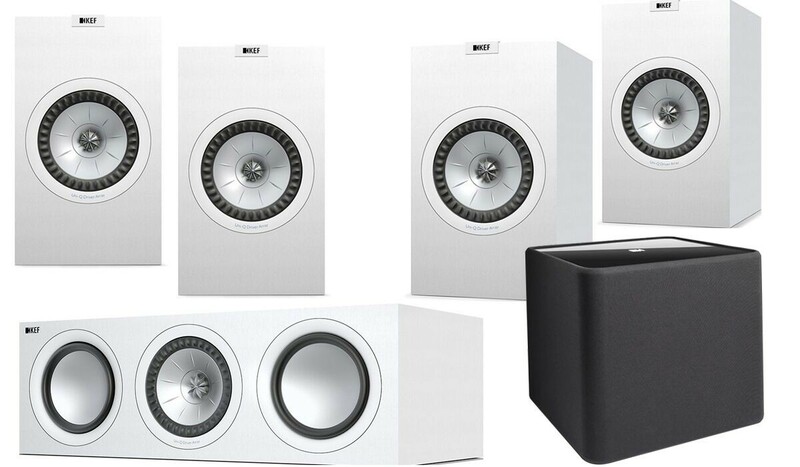 KEF Q350 5.1 Speaker Package is a high-performing package that has been carefully curated to celebrate KEF's new and updated Q-Series range. 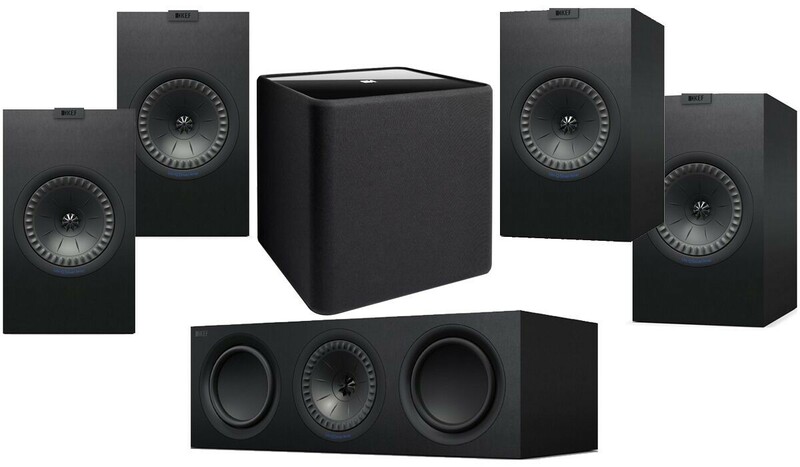 The package consists of a pair of Q350 speakers for front channels, a pair of Q150 speakers for rear channels, a Q650C centre speaker and a Kube-2 subwoofer. An update of the Q300, the Q350 showcases an enhanced Uni-Q driver with a new central position that reduces resonances for an intricately detailed sound performance. The Q350 is the older brother of the Q150, offering a larger construction and more expressive sound quality than its diminutive fellow bookshelf speaker. This model has been selected to broadcast the front channels of the system. For more information on this model, including full technical specifications, visit our main KEF Q350 product page. This compact bookshelf design showcases an improved Uni-Q driver and Computational Fluid Dynamics. Precise and detailed sound quality combines with an ultra-sleek aesthetic. The Q150 significantly updates the Q100 thanks to an enhanced Uni-Q driver which has been handily moved to the centre of the cabinet for a cleaner, more intricate sound. Alongside this, Computational Fluid Dynamics offers a damped tweeter loading tube for a richer treble sound. This model has been chosen specially for the back channels of the system. For more information on this model, including full technical specifications, visit our main KEF Q150 product page. 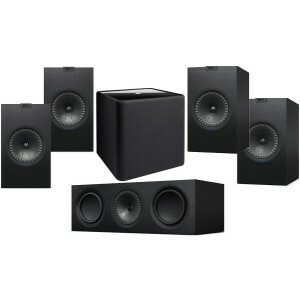 This centre speaker is the must-have accompianment to the speakers in the brand's updated Q-Series. This model truly enhances your home entertainment system thanks to its UNi-Q driver array and a closed box cabinet. For more information on this model, including full technical specifications, visit our main KEF Q650C product page. This active subwoofer adds a powerful finishing touch to this high-performing speaker package. Its in-built amplifier has the flexibility to match your sound requirements, so you can mold its performance to your room-specific needs. For more information on this model, including full technical specifications, visit our main KEF Kube 8b page.